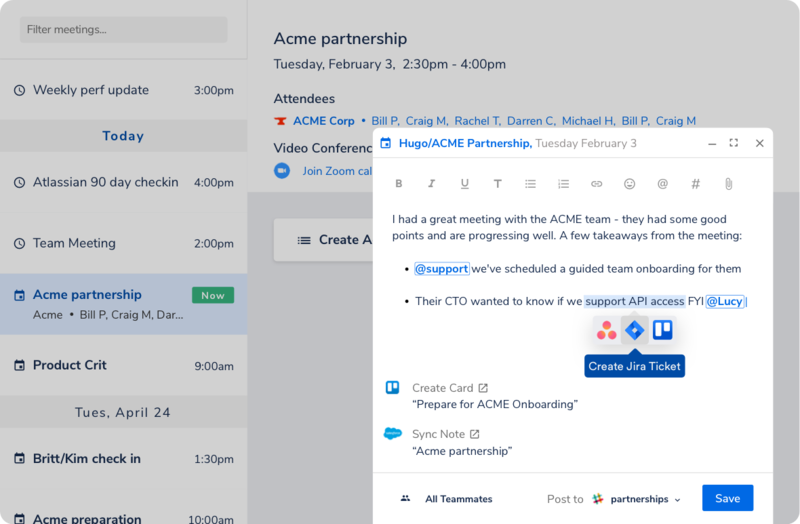 Transform insight into action and cultivate collaborations that benefit both businesses with our partnership check-in template. What is the purpose of this partnership check-in? To review current initiatives? To explore new opportunities? What is the current status of the partnership and its associated initiatives? Share recent progress, key highlights, and relevant data since the last partnership check-in. What's working well? What could improve? Did you identify any new opportunities to increase the value of the partnership or ensure its success? What red flags were evident? What blockers are in the way of project progress? Is the partnership at risk? Did the partner share any concerning feedback? What were the main insights from this check-in? Note and share them here. Where to from here? Clarify next steps for both parties, who's completing them, and when they should be done by. Note this information here to share. Set a date and time for your next partnership check-in. Communication is critical to cultivating partnerships that benefit both businesses involved. Whether you're exploring new strategic collaborations or deepening existing relationships, our adaptable partnership check-in template can help you stay aligned and progress in the right direction. Often, typical outlines are too rigid to accommodate the nuances of different partnerships. Whether sales, business development, or investment teams are involved, this flexible meeting note template can be customized to capture and distill the insights most important to moving initiatives forward. Our partnership check-in template gives all collaborators a clear perspective of common objectives and each other by opening up communication. Not only does it enable you to establish expectations, but you'll also be able to understand one another's unique needs and strengths better. In turn, this lets you organize and prioritize the steps needed to accomplish your goals together. But ensuring alignment is far from the only advantage of this meeting note template. It also allows you to build trust faster through context, action, and accountability. With sharing capabilities, everyone can benefit from conversation insights they missed and stay on top of progress for current endeavors. And with the ability to turn blockers into assignable steps, you can transform insight into meaningful action faster. By giving everyone a better understanding of each other and a system to stay aligned on goals, this partnership check-in template lets you explore opportunities you were previously unaware of and evolve together. See a complete picture of what long-term partnership success means. Try this meeting note template today.